It's impossible to extinguish a legend. It branches off into infinite forms, without end. 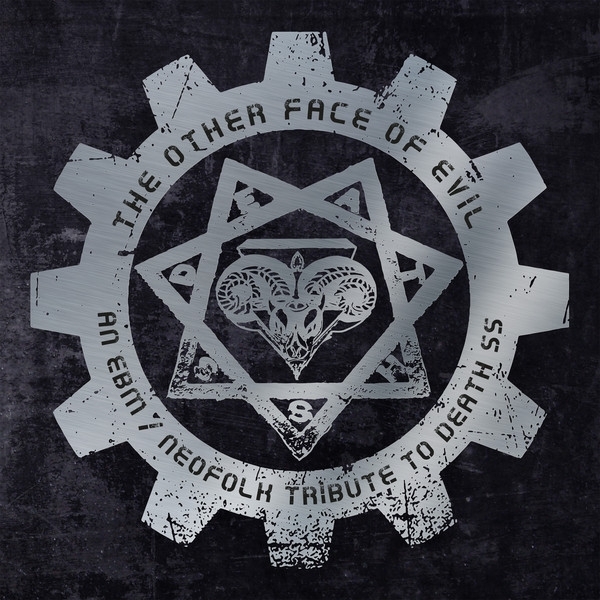 The music of Death SS has constituted a fundamental paragraph in the history of heavy metal of all the times, so that today famous underground projects have chosen to celebrate this band with an exceptional tribute of twelve acts entitled "The Other Face Of Evil". Occult, horror, gothic culture, conceptually revive in different musical styles in this compilation that will amaze you for its ability to interpret sibylline themes and for its expressive sound force out of the ordinary. Different music genres, such as EBM, synthpop, experimental electro, industrial and neofolk, create intensely representative atmospheres, subjugating the listener from the beginning to the end a tracklist that will drive crazy for enjoyment all fans of Death SS and all those about the projects involved in this release. Distinguished names masterfully interpret the most glorious songs of the band, placing their distinctive, personal mark in them. Helalyn Flowers, Nydhog, TourdeForce, Vostok, Bad Sector, Die Schwararzen Geister, IMJUDAS, The Magik Way, Selene Riot, Die Faben Affäre, La Pietra Lunare and Beata Beatrix, are the heroes of this unique and unrepeatable masterpiece that opens a dimensional door that leads you to the underworld. The musics, authentic, evocative reinterpretations of great evocative power, follow one another with remarkable afficacy, propagating unforgettable melodies that will immediately take possession of your soul. Be the privileged who will be able to take possession of a copy of this unprecedented anthology! Be the supporters of this unparalleled work of cooperation and inspiration! Listening and appreciation index at their highest level. Guaranteed and certified.